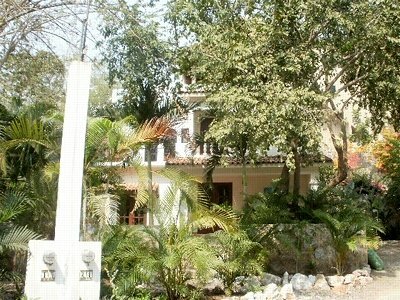 Lovely 3 level 1 bedroom, 1 1/2 bathroom house suitable for single person or couple. The house is situated in a quiet residential area of beautiful homes (G-17 on the map). 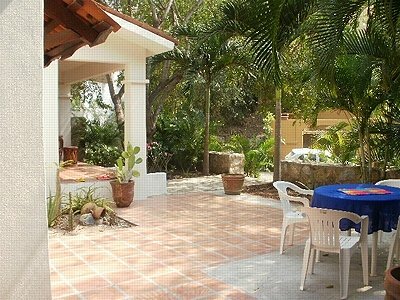 Short 10 minute walk to beach and downtown La Manzanilla. Bus stop for Melaque bus and small convenience store 5 minute walk. 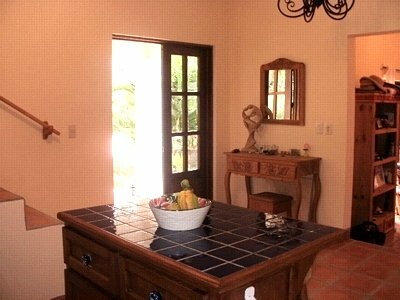 The house has a washing machine with outside drying line, a private outdoor shower, and ceiling fans in all rooms. There is a driveway for single vehicle parking. All linens provided as well as once weekly housecleaning. Extra cleaning can be arranged for an additional fee. 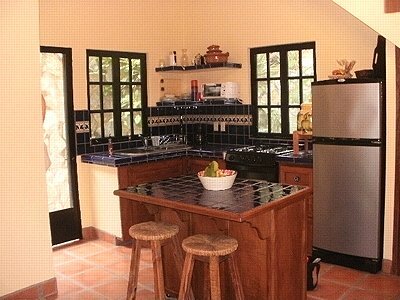 The kitchen includes a 4 burner gas stove with oven and full refrigerator with freezer. Coffeemaker and grinder, toaster oven, kettle, blender. Dishes, cutlery, pots. Bottled water.